With planning underway for a new Venice Public Library, Sarasota County staff will conduct an informal survey of Gulf Gate Library patrons to find out what they wish was different about their new facility. 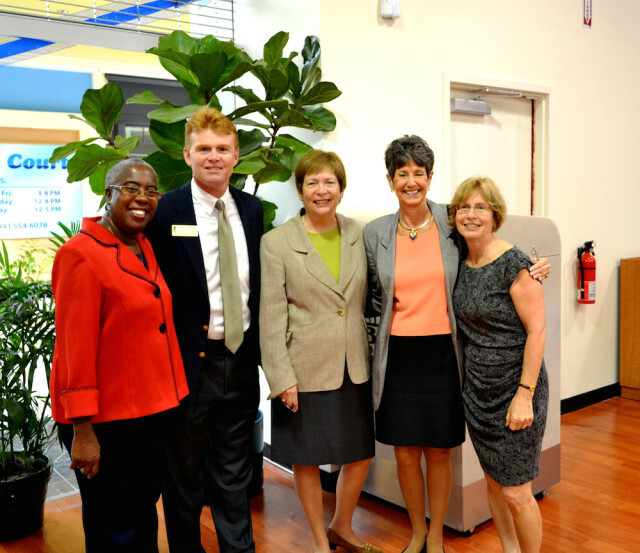 Commissioner Christine Robinson, who represents South County interests on the board, made the request during the commission’s regular meeting on March 22 in Sarasota. “I think it’s an important question to ask,” Robinson pointed out, in an effort to avoid repeating design features in the new Venice Public Library that might be seen as problematic in the Gulf Gate Library, located at 7112 Curtiss Avenue in Sarasota. 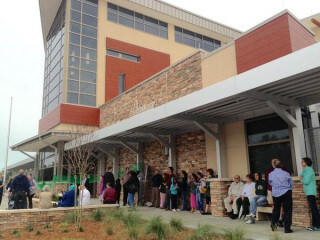 “It’s not a reflection upon the building,” she added of the Gulf Gate facility, which was completed in late January 2015. “I think it would be an important learning moment for us,” she said, referring to a review of comments on such a survey. The County Commission ordered the closing of the Venice Public Library at the end of January because of concerns about the health effects on patrons, volunteers and staff of persistent mold in the building. The first meetings to seek public views about the design of a new library were held on March 21 in Venice. 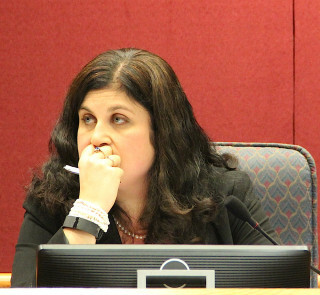 More sessions are planned, Sarabeth Kalajian, the county’s director of libraries and historical resources, has explained to the commission. On March 22, County Administrator Tom Harmer agreed with Robinson that results of a survey would enable staff to learn about design facets that could be improved in the new Venice facility. “Good point,” board Chair Al Maio concurred. No board member voiced an opposing view. The $7.69-million, 24,920-square-foot Gulf Gate Library was designed by Harvard Jolly Architects of Sarasota and built by Willis A. Smith Construction of Sarasota. Its patrons participated in multiple planning meetings with county staff and the design team before the commissioners approved the construction contract and work began in 2013. Among the library’s amenities are two reading gardens, a children’s story-time room, a tech lab with an expanded public-access computer area and a drive-through process for book returns. Additionally, “[The library] looks beautiful, but there’s a lot of wasted space,” she told the News Leader. More room could have been allocated to the Friends’ bookstore, for example, she noted. The women’s restroom also is not large enough, she continued, and insufficient space exists between the bookshelves. “I try to avoid going through an aisle that already has people in it,” she said. Yet another concern, she pointed out, is that patrons asked during the planning process that books be kept off the top and bottom shelves in each stack, because tall people have trouble bending down to the lowest levels and shorter people cannot reach the top ones. Furthermore, not many tall volunteers work in the library, she added, so returning volumes to the topmost shelves has proven difficult at times. On the positive side, she continued, the areas for teens and children seem to have adequate space.